At Amante Gourmet Pizza in west Cary, virtually everything is scratch-made, from the dough to the sauces. What's more, locally sourced produce arrives fresh each day. While a good variety of specialty pizzas like Florentine Chicken,Philly Steak and Jammin' Jamaican are offered, must-try pie Tuscany is the star attraction here. This olive oil glazed selection comes with spinach, roasted red peppers, eggplant, caramelized onions and — best of all — goat cheese. The come-as-you-are restaurant provides plenty of dining room and bar seating for patrons. Nevertheless, for whatever reason the lion’s share of business consists of takeout and delivery. 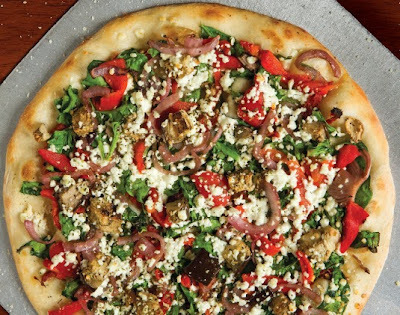 Fans of Mellow Mushroom may not find much that impresses them, but the price point at Amante will please value seekers. cheap ray bans clearance outlet Thief music, cheap ray bans clearance outlet hehe smile, said yes, I saw that he was stolen. N gloat over fan threw a slap in the cheap ray bans clearance outlet face, cheap ray ban sunglasses clearance cheeks suddenly swollen Lao Gao, thief dizzy just to stand, ray ban sunglasses clarance outlet and a large ear seeds pumping cheap ray bans clearance outlet over. Wallet out.